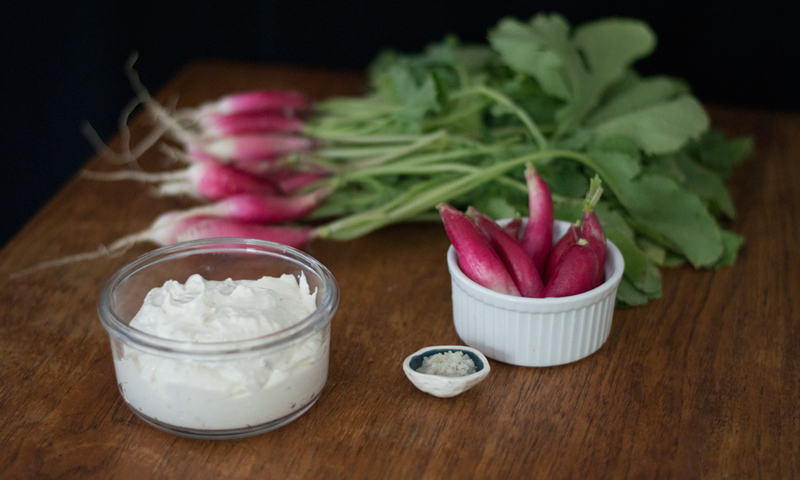 There’s a bunch of shortcut recipes for crème fraîche floating around out there. All advise simply to add a tablespoon or two of buttermilk to a pint of heavy cream and let it sit at room temperature for 24 hrs. While this is indeed a good substitute, mind-blowing even according to the folks at Serious Eats, it’s not exactly authentic. The proportions of the bacterial cultures that live in buttermilk are slightly different than those in crème fraîche. Add to that the fact that buttermilk is known to be an especially good host for unpredictable bacteria, and you can’t be sure how your crème fraîche will taste. Our version still ain’t exactly the appellation d’origine contrôlée crème fraîche from Normandy, but the flavor is a bit closer to the real deal. Just as with beer or sourdough bread, when you rely on wild bacteria or yeast (or in this case, buttermilk that may have collected some mystery microbes), you never quite know how your final product will turn out. In some cases amazing, in others – a little….off. In truth, we’ve never turned out a funky batch of the buttermilk shortcut crème fraîche, but we’d ordered a few packs of crème fraîche starter cultures from Ricky The Cheese Queen and wanted to put them to use. We miss living down the road from Ricky, who is one of the warmest people and greatest ambassadors for home cheese making. She welcomes visitors into the backdoor of her fairy-tale style Victorian in the quaint town of Ashfield, Massachusetts. You step into her kitchen like you’re an old friend stopping by for coffee, and she pulls out of her stockroom whatever you need – cultures, butter muslin, cheese baskets. She sends you on your way with tips on where to buy great milk and the confidence to make great cheese. 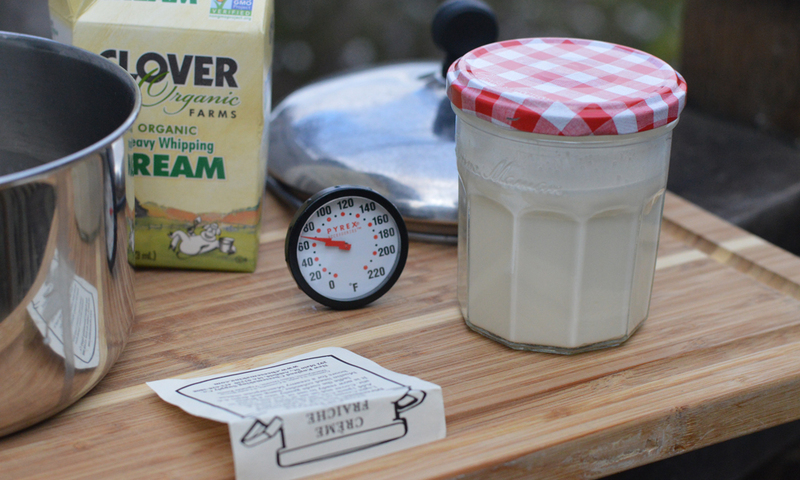 Heat the cream gently on the stove or microwave to 86° F. Pour warm cream into a clean jar, add starter cultures, and stir. Cover and leave cream on counter at approximately 72-74° F for 12 hours or until the mixture has thickened. 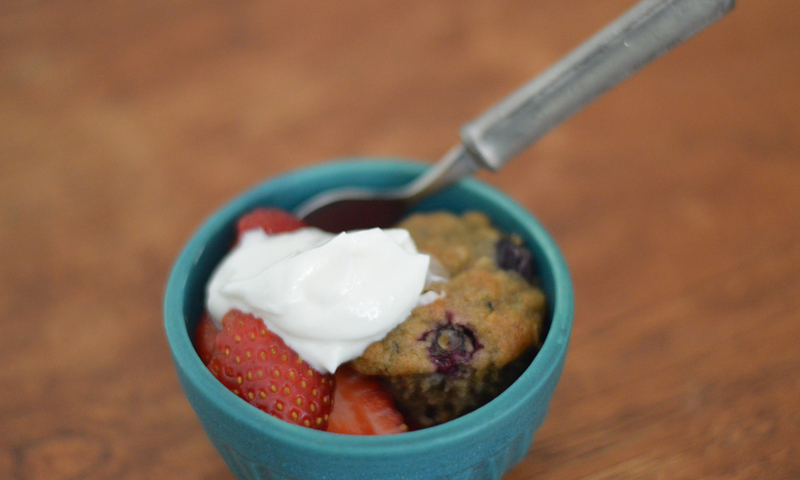 I was happy with the texture of mine at this point, as I was just planning on dolloping it on desserts, but if you’re looking for a thicker texture – great for spreading on scones, continue with the following steps. Gently scoop the thickened cream into a colander lined with cheesecloth. Tie the corners of the cheesecloth into a knot and hang the bag to drain for 6 hours or until it has reached the desired consistency, occasionally scraping the inside with a clean spoon to allow more liquid to pass through the cheesecloth. If left longer, you’ll end up with mascarpone..not a bad deal! Once the crème fraîche has reached your desired texture, store in the refrigerator in a clean jar. The cream will continue to thicken slightly upon refrigeration.